Up to £50,000 depending on experience. 36.25 hours/week. The post is permanent and offers the opportunity for the post-holder’s growth and development. Do you want to make a difference? 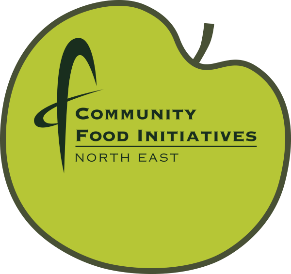 Be part of a successful, innovative voluntary organisation? Involved in shaping and guiding CFINE to achieving increased impact in tackling poverty and organisational growth and sustainability? Then this job could be for you! You would be a member of CFINE’s management and leadership team, occupying a second tier position and be able to bring your experience and abilities to put your own stamp in the role. You would have the opportunity for growth, development and progression within the organisation. Overall Responsibility: contributing to the strategic oversight and development of CFINE’s support and services and to the effective operation and sustainability of the organisation. Amongst this range of responsibilities around finance, HR, building partnerships and networks, promoting and increasing the profile of CFINE and so forth, the DCE (Strategy) will have the management and strategic oversight of 2 key developments within CFINE: the presently being established Financial Inclusion Hub; and the Sustainable Food City Partnership Aberdeen. Closing date for applications: Friday, 15/2/19 at 5pm. Do you have what it takes to tackle one of the most challenging and rewarding jobs in Scotland’s Third Sector – leading GCVS? GCVS is the main development agency in Glasgow working for the 3000+ voluntary and community organisations and charities in the city which do such an amazing job in making Glasgow a vibrant, dynamic and caring city. We are a mature organisation that is going from strength to strength. Following our CEO’s retirement, we are looking for a new dynamic CEO to lead our highly experienced and qualified staff team into the next phase of our development. The successful candidate: You will be a strong advocate for fairness and social justice, and an experienced and confident leader, who can motivate and inspire others. You will be a good communicator, and a strong networker and team player; you will have a successful track record in management, able to demonstrate a strong development background. Ours is a complex environment: you must be resilient and resourceful, calm under pressure and able to handle a varied workload, across a wide range of agendas, in varied settings. “SAFE” (Support Advice Financial Education) An invaluable service which has now proven to be an absolute necessity within the organisation. The SAFE Team engage with all individuals who are seeking advice and information. The number of individuals coming through this service has increased dramatically and a number of people have commented that “they find it much less daunting coming here to get benefit advice”. • To carry out financial and benefit health checks with beneficiaries on request or when referred by participating organisations. • To provide budgeting advice to beneficiaries referred to the project, looking at income and expenditure in detail and supporting them to take control of managing their money and where appropriate to suggest where income could be maximised and outgoings reduced. • To provide training sessions to staff and volunteers from partner organisations to raise awareness of money management issues and to arrange community-based sessions for beneficiaries where there is a recognised need. In addition to up-skill staff and volunteers so that both CFINE and partners have the capacity to help clients with these issues. • To assist beneficiaries in form completion and monitor progress of claims. • To keep up-to-date with new and changing legislation in the field of welfare benefits. Save the Children UK is looking for a new Honorary Treasurer to join our Board. Our Treasurer plays a pivotal role in the organisation. They have specific responsibility for oversight of the charity’s financial strategy, planning, systems and controls, for ensuring that Save the Children UK is in a sound financial position to deliver on its objectives, and for ensuring that Board decision-making takes full account of relevant financial considerations. For this role, we are seeking candidates who have Board-level experience of the financial management of large and complex organisations and experience of chairing Board committees. Knowledge of charity finance, accounting and governance is also essential. We welcome applications from those who are engaged with, and excited by, Save the Children UK’s vision, mission and values as we move into our new strategy period. Save the Children UK recognises the value of diversity in all its forms at all levels of the organisation, including at Board level. We celebrate its role in the creation of an inclusive workplace culture and thrive on the range of experience and insight diversity brings to our organisation. We want to increase the diversity of our leadership and particularly encourage applications from those who identify as disabled, LGBT+, Black, Asian or other ethnic minority, and hail from diverse social and educational backgrounds. Save the Children UK is advertising this post on a number of prominent national jobs websites. We will assess candidates against the requirements of the role. Candidates should submit a CV (including comprehensive details of key achievements and responsibilities) along with a covering letter which fully addresses the competencies outlined in the role description and person specification. Applications should be completed on Save the Children UK’s website. The closing date for applications is 11:59pm (GMT) on Sunday 5th May 2019. The shortlist of candidates will be determined in the following weeks and candidates invited for interview with our appointment panel. The Honorary Treasurer is required to attend quarterly Board meetings at Save the Children UK’s Head Office in Farringdon, London, and an annual Board call. They will also be asked to chair the Board’s Finance Committee, be a member (but not chair) of the Audit and Risk Committee, and be a member (but not chair) of the Investment and Pensions Committee. This requires a significant additional time commitment; more on these Committees’ responsibilities can be found in the full role description. The Honorary Treasurer may also be asked to undertake overseas travel on behalf of Save the Children UK. 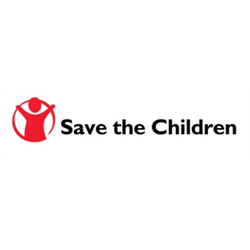 While this role is not remunerated, Trustees will receive reimbursement for reasonable expenses incurred during work on behalf of Save the Children UK. At Save the Children UK we are committed to the safeguarding and protection of children in our work. We will do everything possible to ensure that only those who are suitable to work with children are recruited to work for us. This post is subject to a range of vetting checks including a criminal records disclosure. If you share our belief in the power of children, join the fight. It takes relentless determination, creativity and a commitment to real change. Because every child should be able to make their mark on their world and help to build a better future. We look forward to hearing from you. ELGT is looking to appoint a new Finance & Office Manager to have responsibility for the management of financial and accounting functions and to assist the Chief Executive in the smooth and efficient operation of the Trust. You will be responsible for all aspects of the administration of the Trust, whilst ensuring that the office is run cost effectively in compliance with legal obligations. We are looking for a suitably experienced and enthusiastic self-starter, with an excellent track record of managing a modern office environment and ability to maintain all areas of responsibility, including finance, HR, IT and general administration.